The wedding is a special occasion that is cherished by every couple for a lifetime. Every couple wants to make their wedding day memorable and magical. 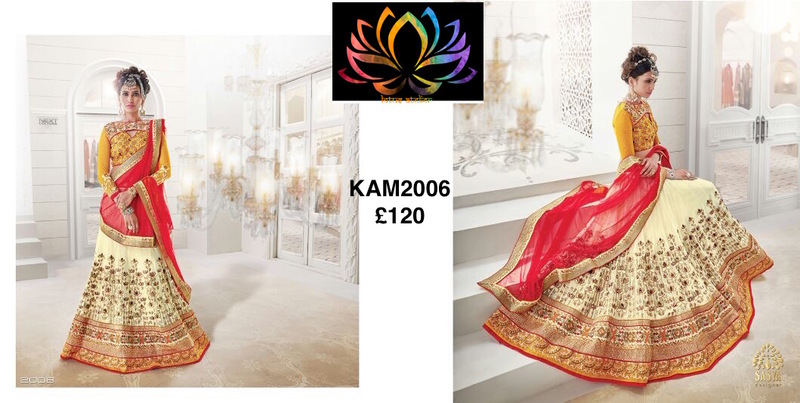 Choosing wedding lehengas in UK can be as nerve-wracking as the actual ceremony. The trending color palette for spring summer wedding lehengas is beige, tangerine, gray, metallic, mauve, wine, dusky pink, orange, and others. If you want to look stylish as well as traditional on your wedding day, a beautiful designer lehenga is just perfect for you. The first thing you need to consider when you select your wedding lehenga is whether you are going to be a summer bride or a winter bride. Then you need to focus on the material for the wedding lehenga because you don’t want to end up all sweaty and uncomfortable in summers or quiver in winters. Chiffons and georgettes are perfect for a summer wedding while silk and velvet work great for a winter wedding. The present generation loves to experiment with different looks and styles. Many brides are even experimenting with the traditional red lehenga and opting for colors like gold, blue, and even whites. You can also opt for a cape with the lehenga to create the perfect blend of ethnic and contemporary look which will not only increase your fashion quotient to a great extent but also make the outfit stand apart. A designer wedding lehenga will surely do wonders for your overall look but if you choose impulsively without considering your body type then the whole look may end up in a fashion disaster. The trick is to choose the perfect suit according to your body type so that it flatters your figure and not focus on your flaws. Lehenga with a Trail is the new fashion trend in wedding lehengas in UK . The trail adds glamour and richness to any designer lehenga and makes it look really like a couture lehenga. Anarkali Lahengas is also a fabulous choice. The choli of Anarkali lehenga is sewn with the long Anarkali that go down to the length of the lehenga. The jacket lehenga will make you make a fashion statement for your wedding. The jacket replaces the choli in this type of lehengas. Embellished lehengas are an all-time favorite with brides as they add that oomph factor to your wedding attire and help you stand apart on your wedding day.